Horns, you know, that book. 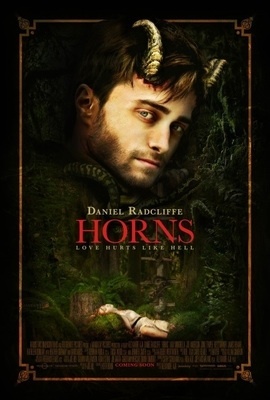 I decided to read Horns because I had been hearing that the book was pretty good. It would have been if I thought it was actually aimed at the YA audience instead of adults. I am a bit let down by it. All the characters are in their 20’s and acting like they are 10 years younger, about early High School years. This is why I thought maybe it was supposed to be a YA book. But it turns out it wasn’t. I also thought it was supposed to be set in England but it isn’t. It is in the U.S. I didn’t come to that conclusion because Daniel Radcliffe was playing the lead character, Ig. I came to that conclusion early in the book when Ig is thinking he needs to get some medical help with his horns. And, more importantly, by the way the characters sound in my head. They only make sense to me if I imagine that they are all middle to late 20 somethings who were not able to go to University and who were all on the dole because of too many people and not enough jobs to go around. Everything makes more sense that way. The first section of the book, Hell, has been the most enjoyable. I really liked reading how people started telling the truth about everything to Ig and didn’t seem to be completely aware of it. They saw the horns, know it was somehow off, and then it slipped on by and they forgot. So far, it is the best part of the book. reason but I forget now, just like people forgetting those horns. It tells the entire back story about the time when Ig met the love of his life, nearly drown, became friends with the guy who really kills the girl, (that is not a spoiler as the book reveals that before the start of this section), and sets up the relationships between all the characters. I don’t remember the name of the third section. It bounces back to the present and explores how Ig handles finding out who killed his girl, how Ig is dealing with the knowledge that his girl wanted to break up with him the night she died, and starts to explore the really bad things Ig did the night before he woke up with horns. He also explores more of the boundaries on what he can or can not do with the new abilities the horns seem to give him. And that is where I am at with the book. It has been relegated to the bathroom to read when I’m stuck on the toilet. The concept is a good one but the execution is not. Oh, the writing isn’t bad, other than the fact that I think the writer was going for an adult audience and yet the characters feel and sound like teenagers and the overall feeling of the book is Young Adult in nature, despite the language sometimes used in book. Somewhat simple, somewhat serious, somewhat funny, and a whole lot of entertainment filled with fond memories upon rereading. It’s been years since I’ve submitted any poetry anywhere. So imagine my surprise, a few weeks back, when I get an email about my poem being published in a Best Poetry of 2012 book. How bizarre. Not only that, no where does it mention what poem I supposedly submitted that they want to add to their volume. I delete the email. Today, I get another email saying my poem will NOT be published because they haven’t received it yet. How odd? So what I get out of this is that they didn’t really have any poem and they are just trying to get people to submit poems they will put in this so-called ‘best of’ book and then get the people to buy the book. So none of these poems will have been vetted by the publisher? Send what you want, we have a page reserved for you? How bad is that book going to be? They have a strange definition of ‘Best’. Best = How many people can we hoodwink into sending us poetry and buying the results? Stringing Random Quotes into One Chain of Thought. My random thoughts and quotes are not completely random. They are random but taken from the quotes included on my tear-away calendar. I tossed them in a stack and when I started to flip through them, I saw a pattern or a story. There is an odd truth in this. The more I know the more disillusioned I am. The more I know the more I tend to hate humanity as a whole. The more I know the less hope I have for this planet. The more I know the less hope I have for my own future. 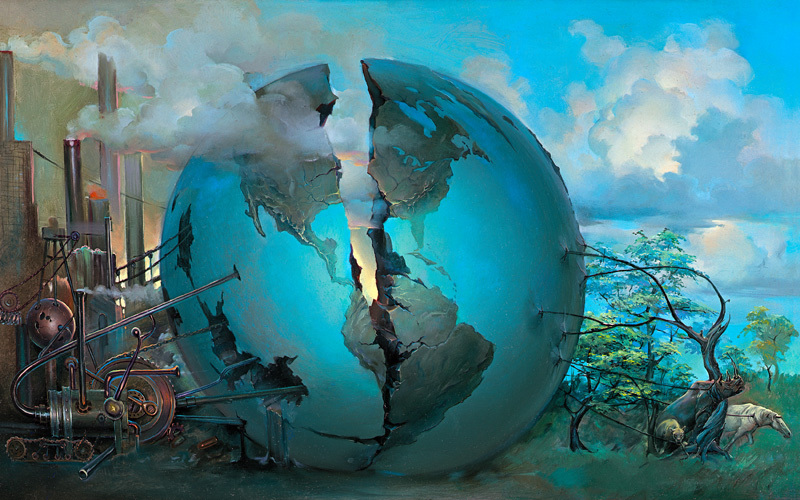 The more I know the more I think the planet needs to start over. 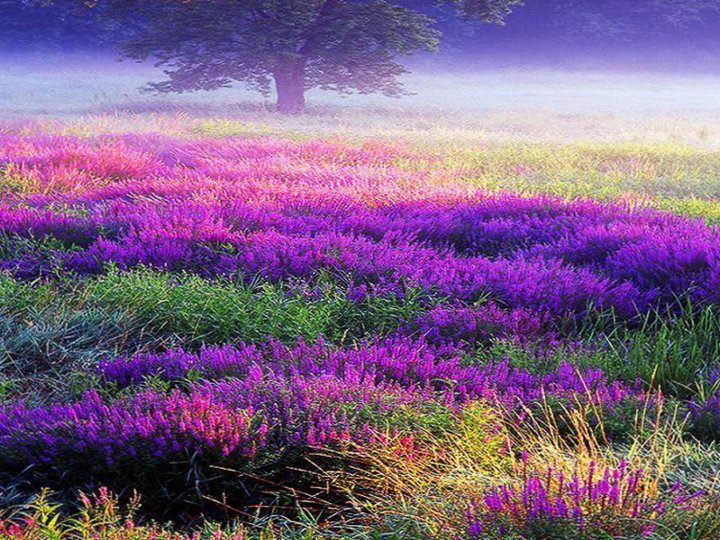 People are inherently selfish, which is the true root of all evil. There is a reason I don’t read the Russians. Too depressing. The Russians seem to really relate to depressing things. A Russian Proverb is “If you wake up and you’re not in pain, you know you’re dead.” You can say the same thing in three words. Life is Pain. This concept seems to fly right over the head of Paris Hilton who seems to think that “Everything bad that can happen to a person has happened to me.” I don’t think she truly understands the depth of bad things that can happen to people. BOOKS BOOKS BOOKS, yep, I like books. I read almost every day. But I do not spend ALL my free time reading. I watch t.v. and stitch. I spend a lot of time on computer games. I cook sometimes. And I go to movies. Which means the number of books I’ve read in the First 18 days of 2013 seems amazing. Some were re-reads. So they went quickly. And I often have more than one book going on at a time. So I might read one book at lunch, one book at home, and one book in the bathroom. I like a good long soak in the tub. So here is what I’ve read in no particular order. The Bride Wore Pearls by Liz Carlyle. Historical Romance. Part of a series that I have not otherwise read. Pleasant read. Half-English/Half-Indian woman, some slight supernaturalish elements, not too complex. I liked it. The Lady Risks All by Stephanie Laurens. Historical Romance. The back of the book gives little away but it is very good if a bit to straight forward as well. I quite liked it. Guards! Guards! Terry Pratchett. Reread. Fantasy Humorist. I ALWAYS recommend Terry Pratchett. Introduces the Guards books. A young, idealistic new copper who happens to be a six-foot tall dwarf. A dragon. A very rich virgin. Colorful characters and very petty people who cause bad things to happen. Never Seduce a Scot by Maya Banks. Historical Romance. Entertaining. Amusing. I normally don’t recommend romance novels to anyone other than people who only read romances. But this was interesting enough to say sure, why not, give it a try. The Ugly Duchess by Eloisa James. Historical Romance. Cute. Simple. Clear Cut. A charming little read. Men at Arms by Terry Pratchett. Second Guards book. The Watch is getting bigger with the addition of Trolls, Dwarves, and even a werewolf. Oh, lets not forget the talking doggy. It doesn’t pay to spend too much time sleeping around the Unseen University. Ambient magic can do strange things to animals around there. Corbin’s Fancy by Linda Lael Miller. Historical Romance. Okay book. The Corbin family had a bunch of interesting titles in this series but they are all really simple and straight forward stories. Obvious with no surprises along the way. Linda Lael Miller’s books seem to get less and less interesting as she continues to write. She comes up with really interesting characters but boring plots. Feet of Clay by Terry Pratchett. Another Guards book. The feminist movement hits the dwarven population, starting with one female dwarf who really doesn’t fit in, ends up in the watch, and starts wearing skirts and make up. Of course other things happen, and a mystery is solved, and amusement is had. Apocalypse to Go by Katharine Kerr. Book four in a supernatural mystery series. The main characters have gotten engaged in order to keep Nola O’Grady’s very religious family happy. Ari, her Israeli boyfriend/bodyguard wants to get married. Each book seems to move them a little closer to that eventuality. Nola is technically in charge and that bothers him as he is used to being in control. On top of it, he still isn’t totally comfortable with her psychic abilities. They solve crimes across alternative universes. The entire series is a good read. Go now and buy it. Jingo by Terry Pratchett. Also another Guards book and also a reread. How often does a Watch Commander get to start a war and arrest two armies? The Key by Lynsay Sands. Historical Romance. You have to marry someone the king picks out, in order to save your mother, but you can control what happens next by wearing a chastity belt and keeping the key hidden. Especially when your husband refuses to bath and only lets his people have one new plaid a year in order to save money and keeps a slovenly home. While there is nothing terribly complex in this novel, and I wish there was, it is very funny and worth reading on humor value alone. The Fifth Elephant by Terry Pratchett. A very good book of Mr. Pratchett’s. Again, a Guards book. Yep, I pulled them all from the shelf and started rereading through them. Okay, I’m getting really sleepy now. Lord of Temptation by Lorraine Heath. Historical Romance. Middle book of a set of three. Only one I read. I liked it. It was good. Made we want to go and read the first and third ones now. Threadbare by Monica Ferris. 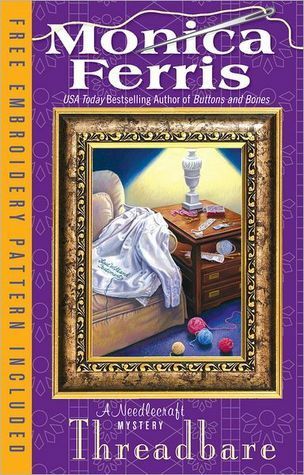 Mystery Monica Ferris is a great mystery writer and this series is about a woman who owns a needlework shop. At the end of every book is a pattern in one form of needle craft or another. This is a good book and well worth the read but there is only one thing bothering me about it. She spends too much time plugging designers and mentioning specific patterns. Sometimes this worked in the past books because it had a bearing on the story and the solution to the crime. Now it is getting tedious. It felt like to many product placements in a movie. Thud by Terry Pratchett. Okay, yet another Guards book. Reread. Highly enjoyable. Somewhat darker. I highly recommend it. 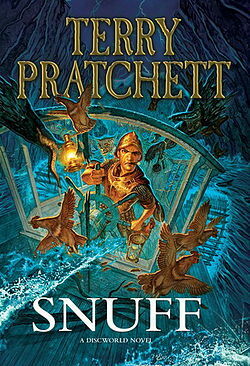 Snuff by Terry Pratchett. The latest guards book out in paperback. I finished it a couple days ago. Really good. Go now and buy a copy. But you have to make sure you have read all the ones I’ve already mentioned for it to really make sense. Or Thud at the very least. And Jingo or else Willikins won’t make as much sense. I have also read three romance novels on the Kindle. Really fast, really short, and really simple romance novels that I won’t bother to name, even if they were good enough. They were more like novellas. The last is Time Traders by Andre Norton. I didn’t realize she wrote science fiction. I always thought of her as a fantasy novelist. This was a very early book of hers. There is some awkwardness in her writing that I’m not used to seeing because I was more familiar with some of her later work. Even with this early work, you can never go wrong reading Norton. That is 19 books completed since the start of the year. I did not count any in progress books. Just ones I’ve finished. 19 books in 18 days with a few days where I didn’t read and I never had any solid days of reading. This is why I keep books. I have to reread books. Otherwise I can’t afford my reading habit. Now I will put these away and reorganize my book shelves, finding a few other books to pull for rereading purposes. 50 Shades? I wouldn’t read it. Years ago, I used to do improve writing every day. I would get home from work, turn on the computer and write. I had a book, from which I got the idea, that gave a list of things to write about. I did those sometime. Other times, I developed a fun game where I walked into a room and glanced around. The first thing I saw would become my subject. I would have to write at least a page about the item. I’m thinking about it as I looks at my Pessimist’s, tear-away calendar. Today’t entry is 50 Shades of Meh. It calls the book unreadable and gives examples of the repreative nature of the book. One such example is that the author mentions that the protagonist ‘blushes or flushes’ a total of 125 times. I particularily like how the calendar writer tells us that the 50 shades book started as Twilight fan fic and when you compare 50 Shades to Twilight, Twilight ‘reads like Dostoevsky’ in comparison. They give a sample sentence and I found that it made my head hurt. Well, it was two sentences. Let me share it with you. I’m having trouble with the alliteration. To much alliteration ruined a mystery series for me a few years back. At first it was amusing and enjoyable. But then it started to feel if the author was attempting to put it in just to see how many times she could do it in one novel. It isn’t too different from how the puns in Piers Anthony books were originally amusing, but latter books began to have so many puns sent in by readers that the stories themselves were getting lost. And all the characters started to sound alike. Not a good thing to have happen. I also didn’t like going from tropical storm clouds to butterflies that fast. My brain seizes up and I want to know which image I’m supposed to carry for what will follow. The feeling of dark energy and movement and building tension inplied by the storm coulds or the sense of sunlight flashing off the wings of a flock of brightly colored butterflies. And what is with ‘darker, carnal, captivating ache’? ‘A darker ache’ is all she needed to get the point across. Without actually reading the books I am still able to know exactly what she means. If I had bought it, just from those two sentences, assuming they are typical of the rest of the book, it would have joined the handful of unfinished books I have. Island of the Blue Dolphins. Technically, I did finish it one time. It took me four years. It was the first one or two chapters that were so awful that I could never get past them. I started it in grade school and finished in high school. In college, I thought I would give it another try. The rest of the book was really interesting. Again, the beginning was so bad I actually got rid of the book. Steamed. A steampunk novel by a romance writer that utterly failed. It was also a ‘travel to an alternate reality’ novel. The male lead in his own world would have been a great story. The female lead’s story in her world would have been a great story. But the story she tried to tell with them together was horrible. Robert Jordan’s Wheel of Time series. I stopped after book Seven. I got totally disgusted. The series was already dragging on too long, taking off on too many tangents. He told us it would be seven books long. At book seven, not only was it nowhere near done, he created a HUGE new tangent. I never picked up another book in that series again. So, no 50 Shades of anything for me. I think I’ll resume my reading of early Andre Norton science fiction. There are a few awkward elements to her early books. But I really want to find out where Ross and the others end up.